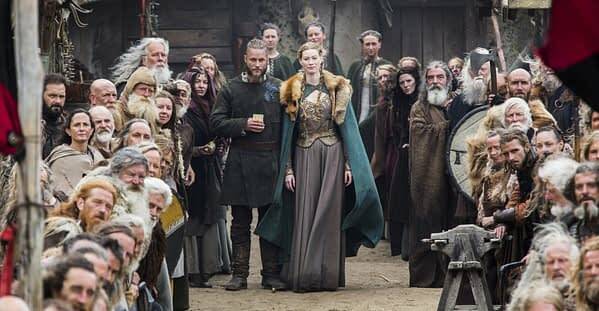 The History Channel’s bold experiment with Vikings concluded its second season with The Lord’s Prayer and when it did so, it was continuing to draw strong ratings solidly to keep it in first place among cable series shows on Thursday nights. The game of thrones being played between Viking chieftain Ragnar and King Horik would do George R. R. Martin proud; both leaders strategically pacing around each other with all the subtlety of a pair of circling sharks in blood infested water. Many series today give what really amounts to lip service when it comes to the roles given their female characters. 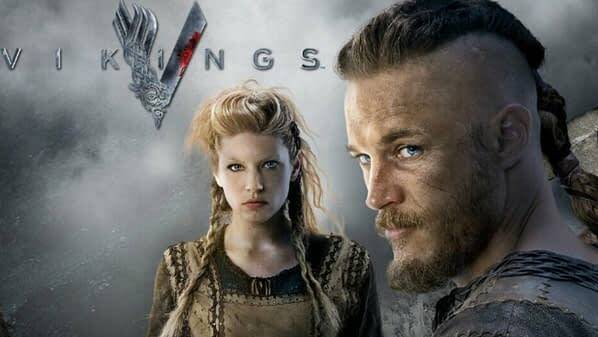 Vikings easily stands at the vanguard of creating roles that are neither token nor short lived. Every female character holds every bit as much respect as their male counterparts. 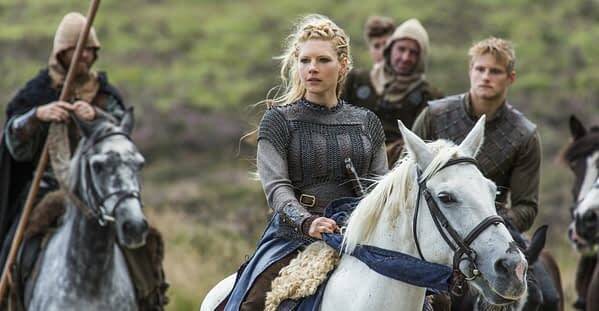 Katheryn Winnick (Lagertha) exudes a keen intelligence as well as fierce strength, which in many shows would come across as forced, or still played from behind a male defender (such as the way Caterina Sforza’s character devolved on HBO’s Borgias). The episode continues with Horik calling in his allies and letting them know that the time to strike is at hand. Not only must they kill Ragnar, but also his entire family to prevent any future uprisings. As a counterpoint, Ragnar is seen making peace with the situation swirling around him. Knowing what is about to come, Ragnar seeks out the priest Athelstan (played by George Blagden) and asks him to teach him how to pray as the priests do. The scene fades as they recite the Lord’s Prayer while in a setting reminiscent of a knight’s vigil. We had known since the beginning of the season that things would not (and really could not) wind up with a real alliance between the two men. Too much had already transpired and they couldn’t go back into war again alongside each other. 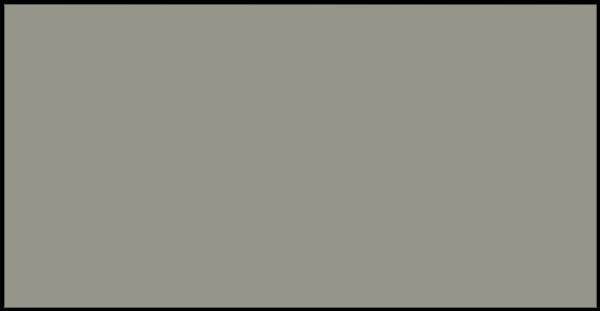 This episode lays everything on the line and by the end of it, the balance sheets are cleared off. Travis Fimmel’s (Ragnar) performance is an utterly unique combination of Laissez-faire lounging and Attila the Hun ability for ferocity and leadership. It’s very much safe to say that his performance sets not only the tone for the series but also for the depth of characters that makes it so engaging. If it weren’t for Fimmel, the series wouldn’t be nearly as powerful as it is. It had been a while since the action was last back in England, and there was always the underlying thought of, So when will we get back to it?” However as opposed to Starz’ Black Sails, which spent more than half of it’s season (in a show about pirates) doing nothing at all piratical, Vikings stays true to its premise, whether the action is taking place in England or at home. Neither is there the same “slow burn,” format of drama that has been so much in vogue over the last half decade on much of television. Every episode not only something happens, but generally many things happen, each with it’s own wide-ranging consequences. The series has been picked up for a third ten-episode season, which is not too surprising given it’s ratings both in the US as well as in the UK. Now the only challenge will be to have to wait until the New Year. 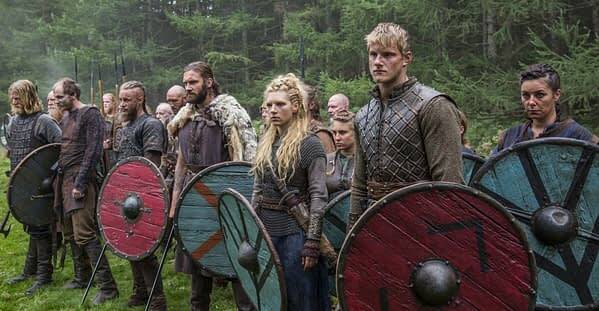 Writer/creator Michael Hirst has given us one great tidbit of what is yet to come, and that will be the Viking invasion of Paris. Now after the episode, the truly horrible part will be to have to wait.